Lisa Spelman, Intel vice president in the Data Center Group and general manager for Intel Xeon Processors and Data Center Marketing, speaks during Intel Corporation's Data-Centric Innovation Day on Tuesday, April 2, 2019. At the event in San Francisco, Intel introduces a portfolio of data-centric tools to help its customers extract more value from their data. • Intel announces general availability of the 2nd-Generation Intel® Xeon® Scalable processor optimized for customers’ most demanding processing requirements from the intelligent edge to the cloud, and across artificial intelligence (AI) and 5G. • Intel introduces more than 50 workload-optimized Intel Xeon processors, complemented by dozens of custom processors designed with deep engineering engagements with our customers, including a new class of leadership performance with a 56-core, 12 memory channel Intel® Xeon® Platinum 9200 processor. 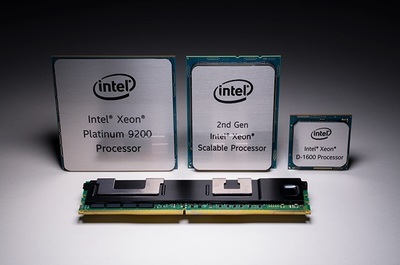 • New features built into the 2nd-Generation Intel Xeon Scalable processors include integrated Intel® Deep Learning Boost (Intel® DL Boost) for AI deep learning inferencing acceleration and support for Intel® Optane™ DC persistent memory, the revolutionary technology that brings affordable, high-capacity persistent memory to Intel’s data-centric computing portfolio. • Intel introduces Intel® Agilex™ FPGAs, a new 10nm Intel FPGA that will deliver flexible hardware acceleration for the data-centric era. Intel today unveiled a new portfolio of data-centric solutions consisting of 2nd-Generation Intel Xeon Scalable processors, Intel Optane DC memory and storage solutions, and software and platform technologies optimized to help its customers extract more value from their data. Intel’s latest data center solutions target a wide range of use cases within cloud computing, network infrastructure and intelligent edge applications, and support high-growth workloads, including AI and 5G. Bob Swan (right), Intel chief executive officer, greets Navin Shenoy, Intel executive vice president and general manager of the Data Center Group, during Intel Corporation's Data-Centric Innovation Day on Tuesday, April 2, 2019. Building on more than 20 years of world-class data center platforms and deep customer collaboration, Intel’s data center solutions target server, network, storage, internet of things (IoT) applications and workstations. The portfolio of products advances Intel’s data-centric strategy to pursue a massive $300 billion data-driven market opportunity. 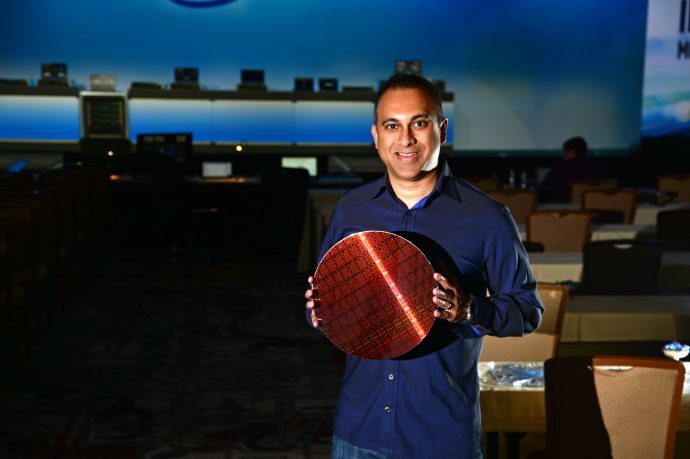 Navin Shenoy, Intel executive vice president and general manager of the Data Center Group, displays a wafer containing Intel Xeon processors during a keynote rehearsal on Monday, April 1, 2019. On April 2, Intel Corporation introduces a portfolio of data-centric tools to help its customers extract more value from their data. “Today’s announcements reflect Intel’s new data-centric strategy,” said Navin Shenoy, Intel executive vice president and general manager of the Data Center Group. 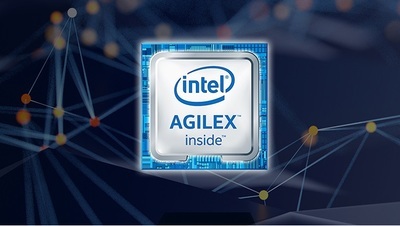 Intel Corporation in April 2019 introduces the Intel Agilex. The family of field programmable gate arrays addresses the data-centric business challenges across embedded, network and data center markets. Today, it is estimated that only 2% of the world’s data has been analyzed, leaving a great untapped opportunity to propel business and to fuel societal insights. Intel is focused on helping companies create business value from this untapped data through the delivery of an unmatched portfolio of data-centric solutions that is optimized to move data faster, efficiently store and access data, and process everything. 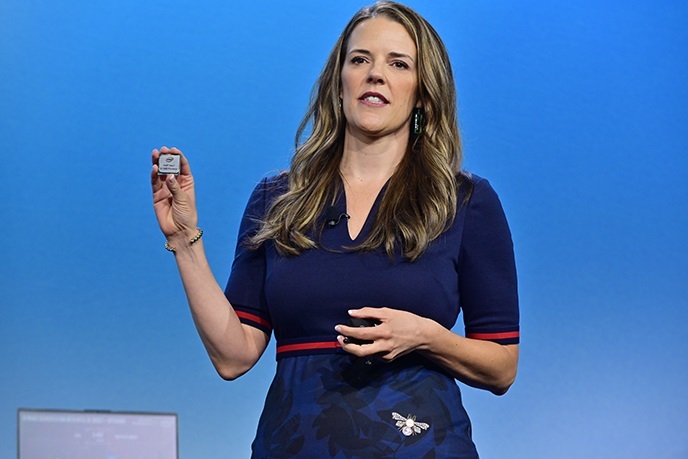 Intel Corporation in April 2019 introduces the Intel Agilex FPGA . Intel’s investment in a broad processor portfolio that ranges from general-purpose computing to purpose-built processors enables Intel architecture to power the industry’s widest array of high-growth workload targets. The data-centric processors that Intel released today represent the most expansive portfolio of Intel Xeon processors in the company’s history with more than 50 workload-optimized processors, complemented by dozens of custom processors designed with deep engineering engagements with customers. 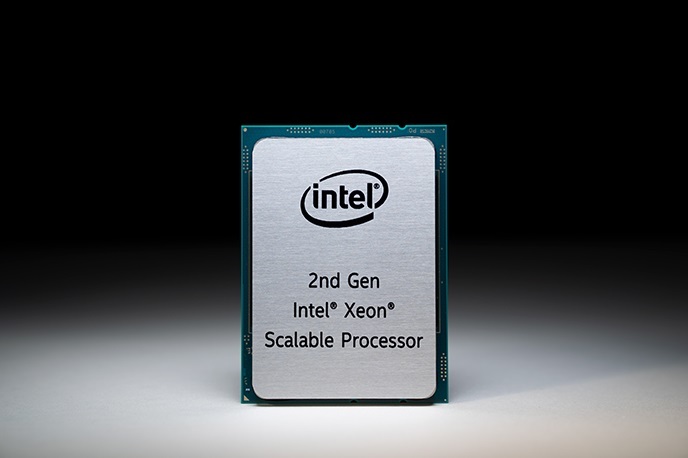 Available today, Intel released 2nd-Generation Intel Xeon Scalable processors, which provide a powerful platform that delivers evolutionary enhancements in performance, AI inference, network functions, groundbreaking persistent memory bandwidth and security. Intel Xeon Scalable processors have been embraced by customers across the globe as the foundation of data center processing. 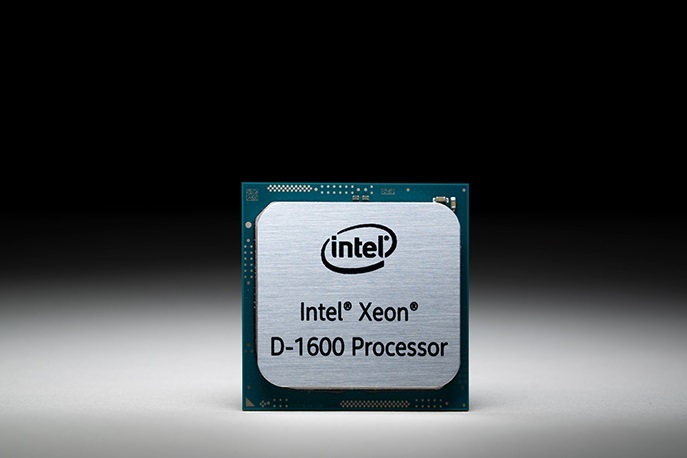 Intel Xeon D-1600 processors are highly integrated systems-on-chip processors designed for dense environments where power and space are limited, but per-core performance is essential. 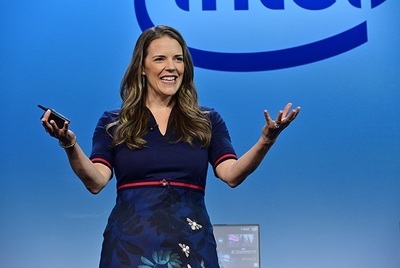 Intel Corporation on April 2, 2019, introduced a portfolio of data-centric tools to help its customers extract more value from their data. The broad ecosystem support and rapid customer adoption is expected to make the 2nd-Generation Intel Xeon Scalable the company’s fastest Intel Xeon processor ramp. • Integration of Intel Deep Learning Boost (Intel DL Boost) technology optimized to accelerate AI inference workloads like image-recognition, object-detection and image-segmentation within data center, enterprise and intelligent-edge computing environments. Intel has worked extensively with ecosystem partners to optimize frameworks (TensorFlow*, PyTorch*, Caffe*, MXNet* and Paddle Paddle*) and applications that take full advantage of Intel DL Boost technology. Customers can choose enhanced tools like OpenVINO to ease deployment. • Support for the revolutionary Intel Optane DC persistent memory, which brings affordable high-capacity and persistence to Intel’s data-centric computing portfolio. 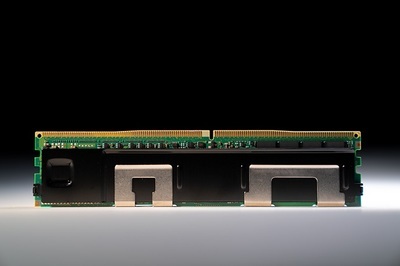 By moving more data into memory, this breakthrough innovation allows users to unleash faster insights from their data and delivers up-to 36TB of system-level memory capacity when combined with traditional DRAM in an eight-socket system. This represents a 3-times increase in system memory capacity compared with the previous-generation Intel Xeon Scalable processor. • Addition of several hardware-enhanced security features that help build a more trusted foundation for computing, including side channel protections built directly into hardware. The Intel Optane DC SSD D4800X (NVMe) offers a “24x7” available data path and super-fast storage, breaking through bottlenecks to increase the value of stored data. • Intel continues to deliver performance leadership with the introduction of the 56-core, 12 memory channel Intel Xeon Platinum 9200. This processor is designed to deliver leadership socket-level performance and unprecedented DDR memory bandwidth in a wide variety of high-performance computing (HPC) workloads, AI applications and high-density infrastructure. • Targeting networking applications, Intel introduced new network-optimized Intel Xeon Scalable processors built in collaboration with communications service providers to deliver more subscriber capacity and reduce bottlenecks in network function virtualized (NFV) infrastructure. Today, Intel Xeon Scalable processors are enabling high-performance, efficient, scalable and agile 5G-ready networks. • Targeting computing at the edge, security and storage solutions, Intel unveiled the Intel Xeon D-1600 processor, a highly-integrated system-on-chip (SoC) designed for dense environments where power and space are limited, but per-core performance is essential. The next-generation SoC helps advance customers down the path to 5G and extend Intel’s solutions to the intelligent edge. 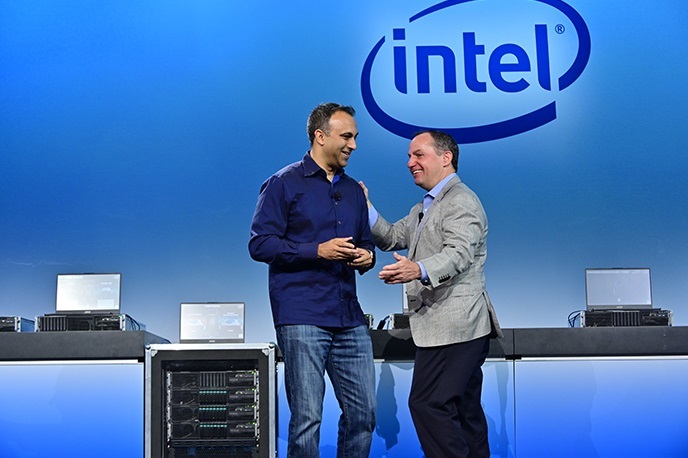 • Intel introduced its next-generation of 10nm FPGAs, built to enable transformative applications in edge computing, networking (5G/NFV) and data centers. The Intel Agilex FPGA family will offer customers application-specific optimization and customization to bring new levels of flexibility and agility to data-intensive infrastructure. The Intel Xeon Platinum 9200 processor. Intel is disrupting the memory and storage market with key technologies that bridge cost and performance gaps in the memory and storage hierarchy. 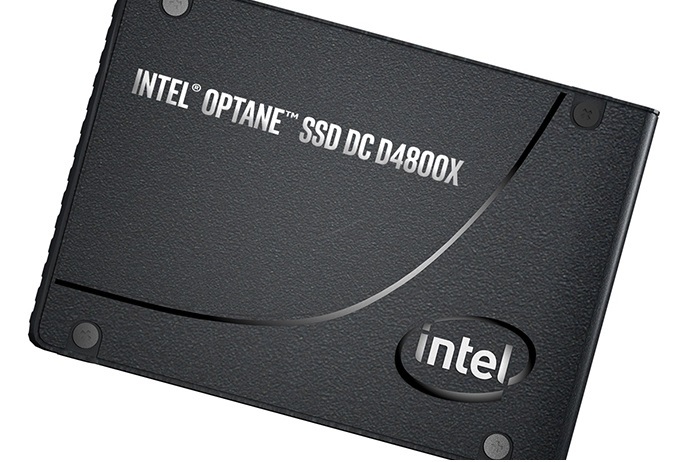 Memory and storage are vital to the computing experience, and with the introduction of Intel Optane DC persistent memory, combined with additions to the Intel® Optane™ SSD and Intel® QLC 3D NAND SSD families, Intel is enabling businesses to remove the bottlenecks that restrict the flow and readiness of data for processing. The 2nd-Generation Intel Xeon Scalable platform provides the foundation for a powerful data center platform that creates a leap in agility and scalability. • Intel Optane DC persistent memory brings breakthrough storage-class memory capacity to the Intel Xeon Scalable platform. • Intel Optane SSD DC D4800X (Dual Port) combines the performance of Intel Optane DC SSDs with the data resilience required by mission-critical high-availability enterprise IT applications. Dual port capability adds redundancy to the data path to deliver continued data access in the event of failures or service operations and upgrades. • Intel SSD D5-P4326 (Intel QLC 3D NAND) is an addition to Intel’s first-to-market PCIe QLC NAND SSDs for the data center. Using 64-Layer QLC technology (4 bits/cell), the product family delivers large affordable capacities to read-intensive cloud workloads. Additional cost optimizations on the Intel SSD D5-P4326 enable it to help accelerate HDD displacement in warm storage. The Intel Xeon Family (from left): Intel Xeon Platinum 9200 processor, 2nd-Gen Intel Xeon Scalable Processor and Intel Xeon D-1600 Processor. Intel meets the high-speed connectivity needs of its customers with a portfolio of server Ethernet products from 1GbE to 100GbE that are at the foundation of networks across the world, from large hyper-scale cloud providers to the largest Fortune 1000 enterprises. 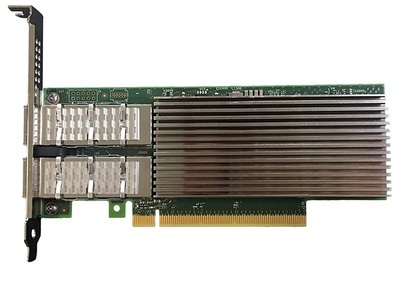 Intel has shipped over 1.3 billion Ethernet ports and is continuing its connectivity leadership with the introduction of the Intel® Ethernet 800 Series adapter with Application Device Queues (ADQ) technology. ADQ increases application response time predictability while reducing application latency and improving throughput. Intel Optane DC persistent memory provides a new foundation for data center performance, delivering up to 36TB of system-level memory capacity when combined with traditional DRAM. The 2nd-Generation Intel Xeon Scalable processors, the Intel Xeon D-1600 processor, Intel Optane DC persistent memory and Intel SSD D5-P4326 are all in general availability today. The Intel Ethernet 800 Series adapter is sampling today, with production scheduled for 2019’s third quarter. 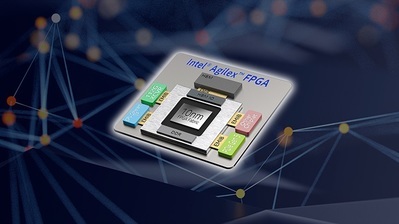 The new Intel Agilex FPGA family of 10nm FPGAs will start sampling in the second half of 2019. 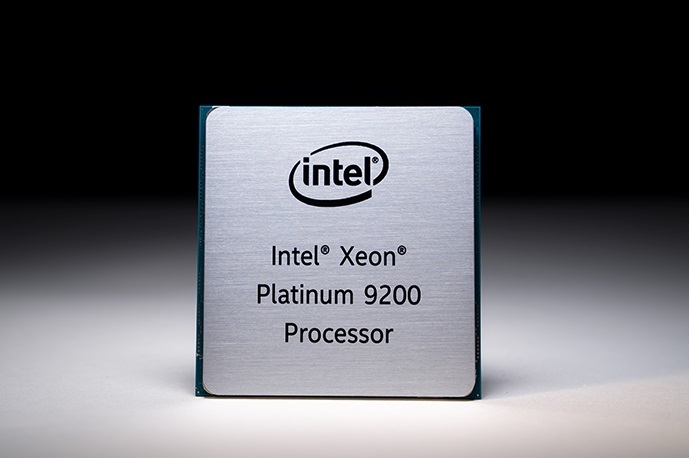 Intel expects systems with Intel Xeon Platinum 9200 processors to start shipping in the first half of 2019 and ramping in the second half of the year. Availability of the Intel Optane DC SSD D4800X will be disclosed at a later date. The Intel Ethernet 800 Series controllers and adapters are capable of supporting speeds of up to 100 Gbps, which is 4x to 10x more server network bandwidth than many companies have deployed. 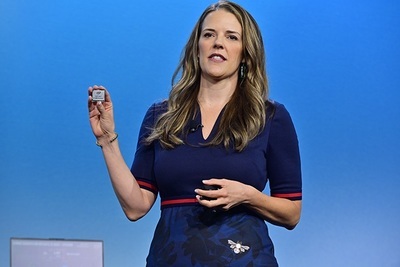 Intel (NASDAQ: INTC), a leader in the semiconductor industry, is shaping the data-centric future with computing and communications technology that is the foundation of the world’s innovations. The company’s engineering expertise is helping address the world’s greatest challenges as well as helping secure, power and connect billions of devices and the infrastructure of the smart, connected world – from the cloud to the network to the edge and everything in between.